In the summer months this department is always full of life. 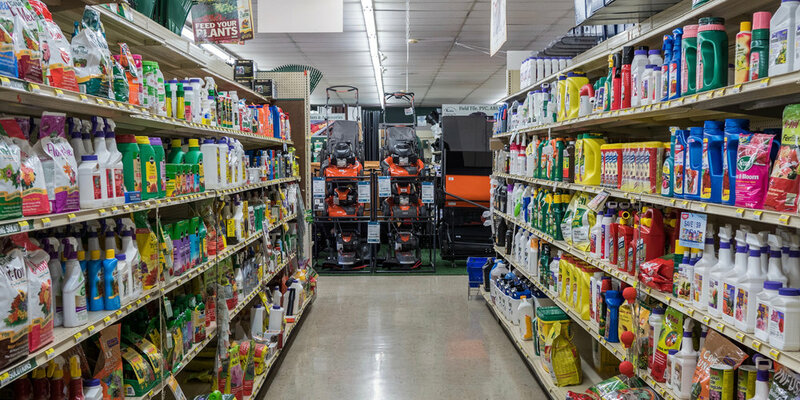 We are your one stop shop for fertilizers, organic plant foods, weed control, and more. Contractors and hobbyist alike can find something in this department. Carrying an array of seeds, tools, weed preventives, and more, we're your one stop shop for landscaping needs. Choose from a collection of product varying from bulk grass seed, to garden classics. Plants are a fragile organism. Their survival depends greatly on location, moister, and nourishment. Organic Plant Food provides the latter with force, ultimately aiding in the welfare of your plant.